Caring for an older adult can be exhausting, overwhelming, frustrating, lonely, and often thankless. It’s no wonder why so many caregivers struggle with stress-related health conditions. That’s why it’s so important to find ways to reduce stress. One surprisingly effective way is to appreciate and recognize yourself for doing one of the toughest, but most important jobs in the world. As a caregiver, it’s natural to focus on what went wrong, what you could improve, or on future challenges. But what about all the amazing things you accomplish on a daily basis? It might sound overly simplistic, but celebrating accomplishments, both big and small, is an effective way to reduce stress. You’re so busy, you probably don’t even realize how many successes you’ve had. Those wins deserve recognition. We explain why self-appreciation is important and how to notice and track your wins. 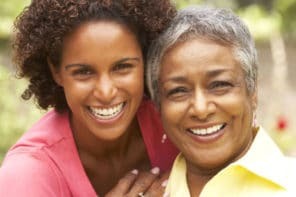 You might think that celebrating your caregiving accomplishments is something that other people do for you, but it’s essential that you recognize and appreciate yourself. The way you feel about yourself and how you talk to yourself has much more impact than what anyone else thinks or says. At first, it might be more difficult to notice what you’ve done right. But getting into the habit of celebrating your success increases positive emotions like self-respect, happiness, and confidence. It also reduces stress and boosts your mood because you’re focused on the positive and noticing all the great things you’ve been able to do for your older adult. 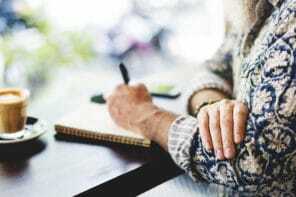 A simple way to notice and celebrate your caregiving accomplishments is to track them in a journal. Write down each win, no matter how small. Keeping a success journal gets you into the habit of noticing each time you achieve a goal or complete a task. It also allows you to go back and review all the kind and wonderful things you’ve done to improve your senior’s life. Managed to get dad to take all his medication this evening. Got mom to eat a healthy breakfast even though she refused twice and it took 45 minutes. Stayed calm and cleaned up the mess after husband/wife accidentally dumped a full mug of coffee all over the sofa and carpet. Finally got mom to shower and change clothes! Helped dad brush his teeth and shave with a minimum of fuss. Got mom out of the house and to the doctor for her appointment. No matter how trivial these accomplishments might sound to a non-caregiver, you know exactly how much energy and effort it took to get them done. They truly are wins and deserve recognition and appreciation. It’s not possible to eliminate all the tasks, worries, and frustrations that come with caregiving, but celebrating your victories is a simple way to reduce stress and boost your mood. Plus, looking at your accomplishments when you feel discouraged or defeated is a sure way to help yourself feel better and give you confidence to overcome the next challenge. Keeping a success journal costs nothing and takes only a few minutes – why not give it a try today?